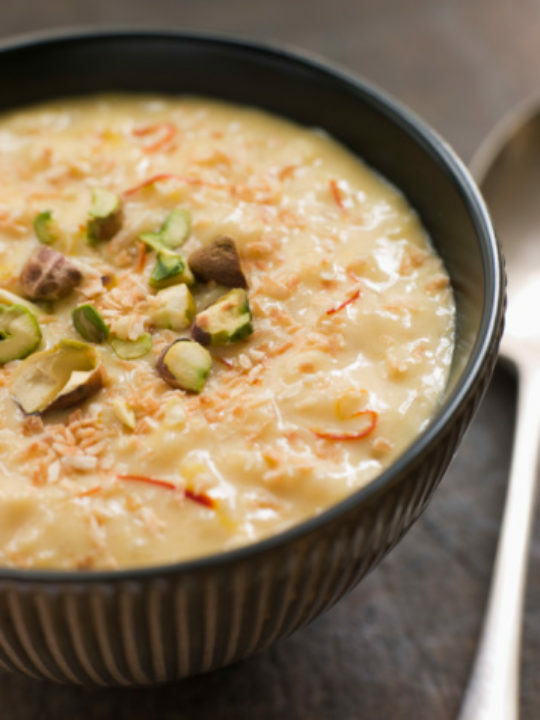 This Kheer recipe is an Indian dessert that is especially made on auspicious days. It is a rice pudding, which is a traditional South Asian sweet dish. The dessert can be flavored or garnished with raisins, crushed almonds or cashews. First half boil the rice. Boil milk on stove and add the half boiled rice to the boiling milk. Keep on low to medium flame for 30 minutes. Serving suggestions: serve warm or keep in the refrigerator for 1 to 2 hours and serve cold.